The U.S. Department of the Treasury's Office of Foreign Assets Control (OFAC) on December 20, 2016, designated seven individuals and eight entities under two Executive orders (E.O.s) related to Russia and Ukraine, and identified two vessels as blocked property. "Today's action is part of Treasury's continued effort to counter attempts to circumvent these sanctions. The United States remains steadfast in our commitment to maintain sanctions until Russia fully implements its commitments under the Minsk agreements. This action underscores the U.S. government's opposition to Russia's occupation of Crimea and our firm refusal to recognize its attempted annexation of the peninsula. 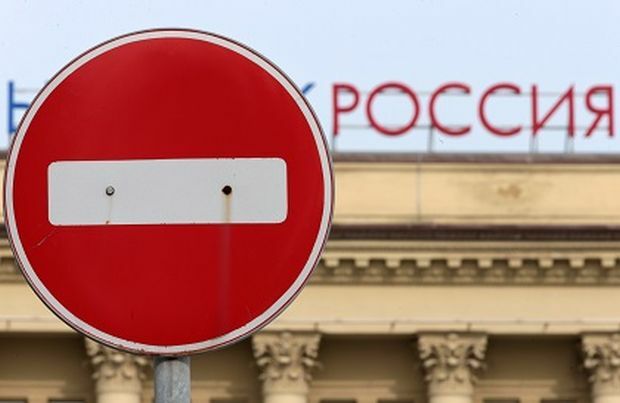 These sanctions follow the European Union's extension on Monday of sanctions and reinforce our continued unity in supporting Ukraine's sovereignty and territorial integrity," the U.S. Department of the Treasury said in a statement on Tuesday. As a result of the action, any property or interest in property of the designated persons in the possession or control of U.S. persons or within the United States must be blocked. Additionally, transactions by U.S. persons involving these persons, or the vessels identified as blocked, are generally prohibited. The list of the sanctioned Russian officials (E.O. 13661) includes Kirill Kovalchuk, Dmitri Lebedev, Dmitri Mansurov, Mikhail Klishin, Oleg Minaev, Mikhail Dedov and Yevgeniy Prigozhin. Designations regarding Crimean entities include Institut Stroiproekt, Karst OOO, Crimean Railway, and Crimean Ports. Read alsoEU officially prolongs economic sanctions on Russia for another six monthsOFAC is also designating four companies because they materially assisted, sponsored, or provided financial, material, or technological support for, or goods or services to or in support of, OJSC Sovfracht, which was previously designated under E.O. 13685 for being owned or controlled by an entity operating in Crimea. St. Petersburg, Russia-based vessel operator Transpetrochart Co Ltd, Samara, Russia-based vessel operator Trans-Flot JSC, Novorossiysk, Russia-based fuel supplier Solid Ltd., and Temryuk, Russia-based fuel supplier LLC RusChemTrade worked with OJSC Sovfracht on fuel shipments in 2015 and 2016. What is more, OFAC is identifying the "Marshal Zhukov" and "Stalingrad" as property in which Trans-Flot JSC, an entity being designated today, has an interest. Both vessels had a role in fuel shipments on behalf of OJSC Sovfracht in 2015 and 2016, and the "Marshal Zhukov" traveled frequently to and from Kerch, Crimea in 2016.